Allan is that sort of guy who can adapt to a totally new environment within the shortest spell. Three months ago, he came to Guangzhou from North China, yet he now masters Cantonese and most paths that Guangzhou buses would go past, getting familiar with main spots of the city. He impresses his colleagues with endless endeavor and ambition. Currently he has become a welcomed tour guide and standout tour planner. Travelling often and widely, Allan has collected an effective system of travel tips, which with no doubt benefits his work. 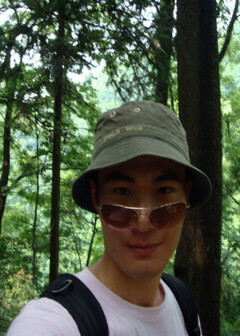 He is regarded as a fairly thoughtful and accomplished tour guide in the team.